NEW YORK, ICFF (May 14, 2016) ― The kitchen and bath brands that make up LIXIL Water Technologies—American Standard, DXV, and GROHE—have teamed up to create the “Beauty in Motion” mobile experience, which showcases standout solutions from each of the industry leaders. The special exhibit-on-wheels will make a national tour to visit select cities in the U.S., beginning in New York City at the International Contemporary Furniture Fair, booth #3686, from May 14-17, 2016. 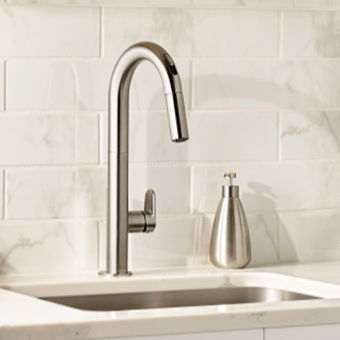 American Standard is shining the spotlight on its new kitchen faucets—Beale, a hands-free, pull-down Selectronic faucet; and Edgewater, which features a blend of sleek styling and impressive functionality. The company is also driving attention to three freestanding tubs that promote elegant, sculptural styling with the Kipling, an oval tub; Sedona, a rectangular tub; and Coastal, an oval shape. What’s more, the mobile exhibit will showcase the VorMax flushing technology that eliminates the traditional tiny rim holes around the bowl that carry water during a flush, the VorMax flush delivers one powerful jet of water that scrubs the entire bowl completely clean. DXV by American Standard selections blend the artisanal character of the past with the aesthetic and performance sensibilities of today. 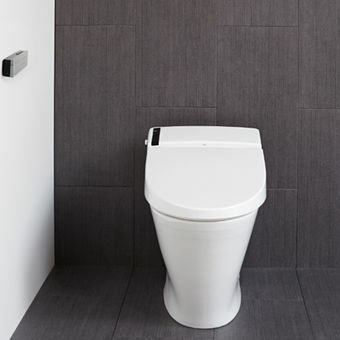 A highlight is the AT200 Smart Toilet, which offers an unrivaled range of sophisticated features. Luxury conveniences such as hands-free flushing, automated lid opening and closing, and heated seat join a completely adjustable two-nozzle, water-spray system with integrated air-dryer to create a state-of-the-art smart toilet. GROHE adds to the assortment with luxe products that elevate the kitchen and bath experience. The brand’s K7 and LadyLux3 kitchen faucets—the former, a contemporary statement; the latter, a transitional look—are both available as hands-free options that feature Foot Control Technology, a first-to-market introduction. The clever coup allows the user to switch the water flow on and off with a tap of the foot on the activation plate installed discreetly in the toe space of the cabinet. The achievements continue with the Minta Touch Generation 2 faucet, with impresses with its EasyTouch technology. The kitchen faucet intuitively reacts to the user’s touch, whether it is the back of the hand or wrist, to activate the faucet and help reduce the spread of germs. Another ware set to wow: Retro-Fit, which transforms an existing shower into a luxurious shower system with a showerhead and hand shower—the system can be installed without breaking the wall in one hour or less. The mobile exhibition will be traveling to select cities through March 2017. To stay apprised of the tour’s local visits, follow the brand’s social media channels. The brands will tag social posts with #BeautyInMotionTour. To learn more about the LIXIL brands and their products, visit www.americanstandard.com, www.dxv.com, and www.grohe.us. AT200®, Sedona® and Selectronic® are registered trademarks of American Standard Brands. Beale™, Coastal™, Edgewater™ and Kipling™ are trademarks of American Standard Brands.